Gamers will get exclusive Pokemon Nintendo 3DS XL hardware this fall. 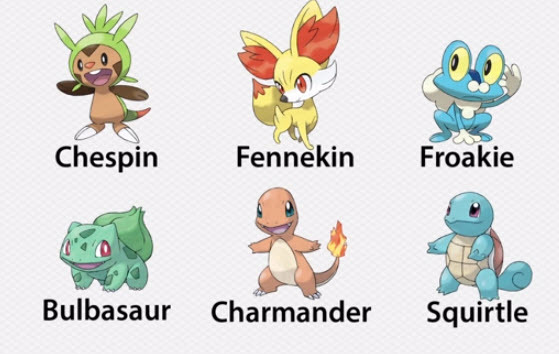 Nintendo revealed that Pokémon X and Pokémon Y players will be able to choose from classic Pokémon characters Bulbasaur, Charmander, or Squirtle when the titles launch worldwide October 12 for the Nintendo 3DS family of systems. Once these fan favorite Pokémon from 1998’s Pokémon Red and Pokémon Blue are evolved into Venusaur, Charizard, or Blastoise and players obtain their unique Mega Stone, the Pokémon will be able to Mega Evolve into Mega Venusaur, Mega Charizard, or Mega Blastoise. Nintendo also explained that players will need to obtain a bracelet called the Mega Ring that holds a mysterious stone called a Key Stone. The Trainer’s Key Stone resonates with the Mega Stone held by his or her Pokémon, and together they trigger the Evolution that is normally impossible—Mega Evolution. Watch the full Mega Evolution sequence in the gameplay trailer. Game Freak director Junichi Masuda announced Pokémon Bank, a new Nintendo 3DS application and service that allows Pokémon X and Pokémon Y players to safely and conveniently store up to 3,000 of their beloved Pokémon on the Internet. Pokémon Bank expands storage capacity for a Pokémon game, giving players the flexibility to store and deposit 100 Boxes worth of Pokémon. North American gamers will get two special Nintendo 3DS XL hardware designs featuring imagery from Pokémon X and Pokémon Y. These systems come in Red or Blue and feature brand new Legendary Pokémon Xerneas and Yveltal. The systems will launch on September 27 at a suggested retail price of $200.